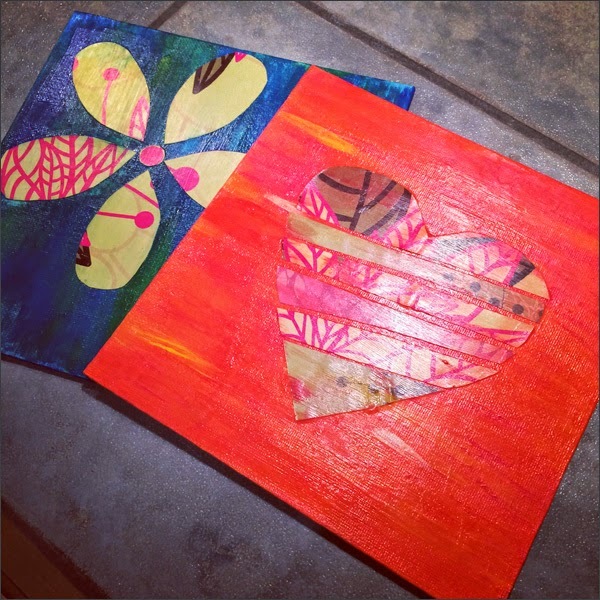 Thrifty By Design: Snail mail crafty goodness rocks! 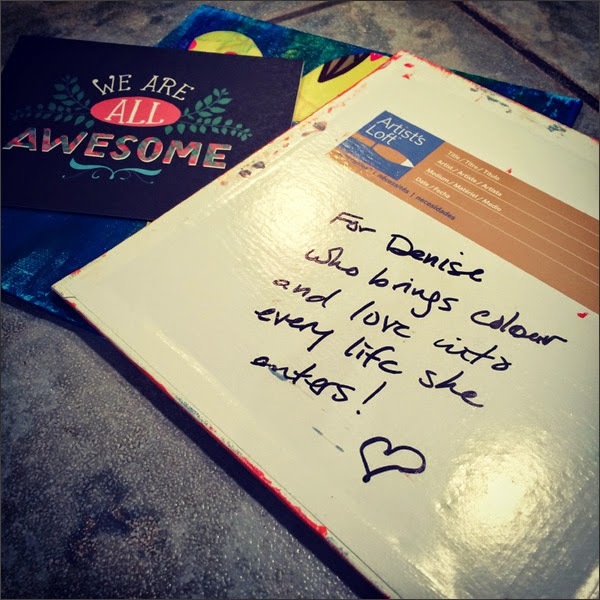 Last week was the best for snail mail packages! I received three super lovely gifties from friends from afar. First I received a belated birthday gift from my uber fabulous partner-in-crime, Roly. All the way from Havana transported by a coworker. 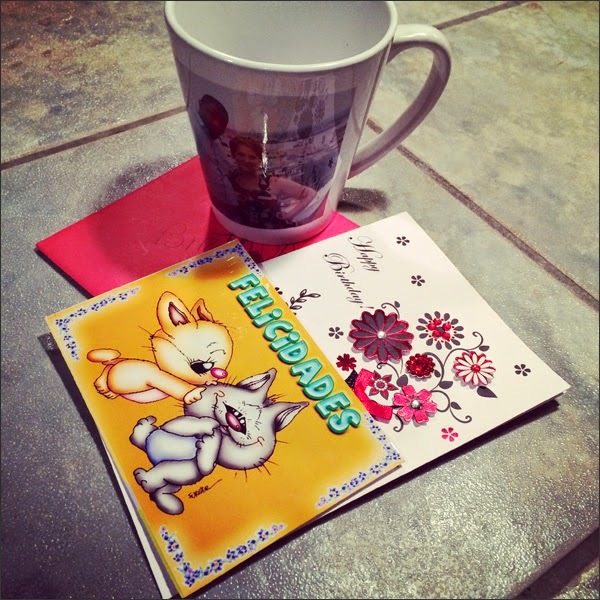 A sappy card, a mug and then my absolute favourite Cuban coffee. So darn yummy! And then a couple of paintings from my BFF in Ottawa, Tara. She always finds the bestest cards. And she's such a sap! This just warmed my heart! My last gift is from a new crafty friend. Jae-Eun Natalie Pilsbury is a Contemporary Surrealist Painter who lives in Westbrook, Maine. 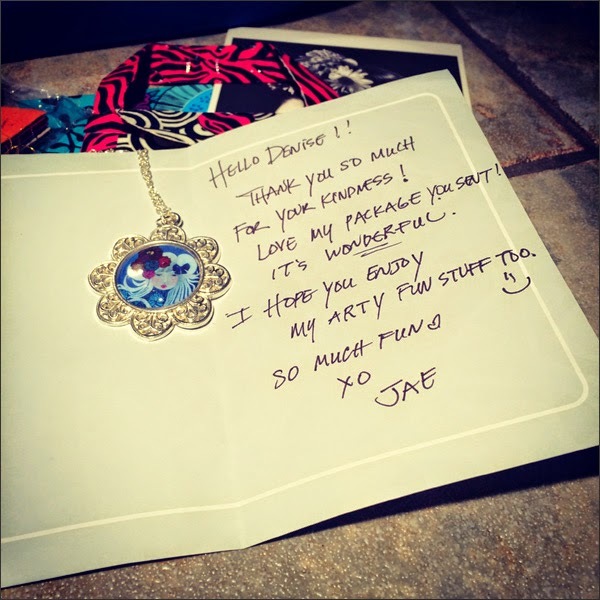 I received an email from her about a necklace I made ages ago. She fell in love with it so I gave it to her. We then decided to exchange crafty goodness. I sent off the necklace, some wine cork earrings and a wool sweater brooch. 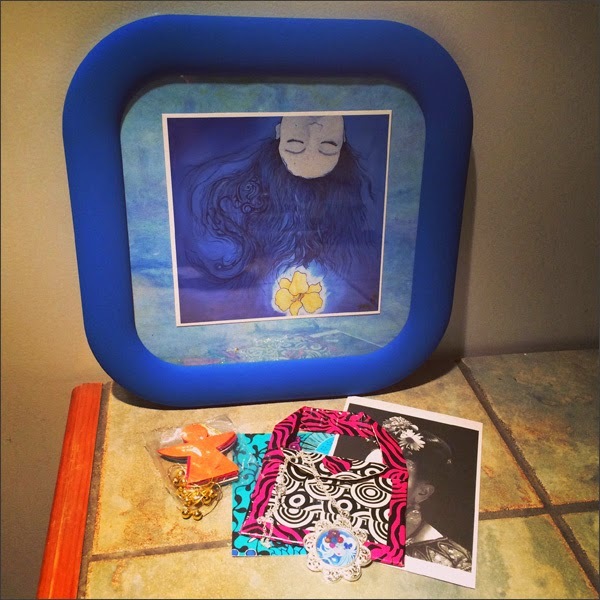 Here's my stash - a painting, a necklace, some postcards and more. I was spoiled!! And what a lovely note she enclosed! And now to work on more snail mail packages... One for Tara... One for a new crafty peep, Katie at Thisel and Bean. Sharing is caring!